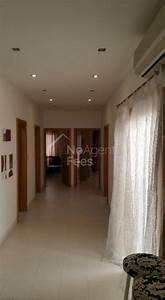 Modern 3 bedroom 2 bathroom apartment set on the second floor in a block of only two units located in a quiet residential street. Accomodation comes complete with jacuzzi bath and gas fireplace, fully equipped top quality kitchen including dishwasher washing machine and bosch appliances, air-conditioned open plan and main bedroom. This apartment is situated just 5 min walk from the sea. Price includes cleaning fee. Contact landlord on 99403695.